Hanning Zhou manages Search-Inside-The-Book Group, Kindle Bulk Ingestion Group and Print-on-Demand Ingestion Group in Amazon.com, Inc. He started the Kindle Bulk Ingestion Group in 2009 with the goal of automatically converting scanned image and PDF files to reflowable ebook format. Before that, he was a senior member of technical staff and group manager of Print-on-Demand Ingestion Group. He leads the R&D projects in document image analysis and processing. From 2006 to 2008, he designed the large-scale distributed workflow architecture and launch it into production. He also designed the core algorithms in image despeckle, document layout analysis and contrast enhancement. He held 12 patents with Amazon, FXPAL and Microsoft, ranging from tele-conferencing, video analysis, document image analysis, personalized publishing through print-on-demand to targeted POD advertising. He was a research scientist in the Integrated Media Group of FX Palo Alto Laboratory (FXPAL), which provides multimedia and information technology research for Fuji Xerox Corporation. In FXPAL, Hanning developed and patented a video-based business process analysis system, which was deployed in two sites of Japan Post and directly generated $500,000 revenue under Fuji-Xerox contract. He also developed and patented an immersive video surveillance system (IMSPECT), that integrates motion segmentation, 3D visualization and event detection. He obtained his Ph.D. in Electrical Engineering from University of Illinois Urbana Champaign. His thesis was on articulated tracking and object recognition, advised by Prof. Thomas Huang. 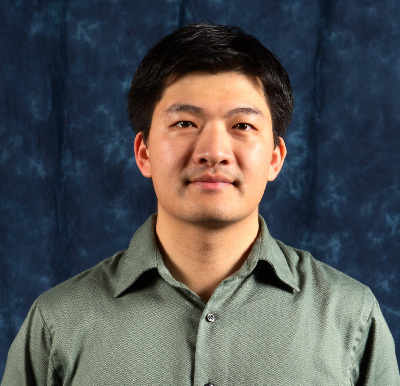 During the summer of 2003, he worked with Dr. Zhengyou Zhang in Microsoft Research Redmond on teleconferencing system based on integration of camera, projector and whiteboard. From 2000 to 2001, he worked with Dr. Harry Shum in Microsoft Research Asia on very-low-bit-rate video compression for mobile video communication. During his undergrad years in Tsinghua University, he worked on video web-cast over broadband networks. His research interests include document image analysis, computer vision, human computer interaction, machine learning and their applications in web services.